4k00:054k Time lapse of Gyeongbokgung palace and traffic at night in Seoul,South korea. 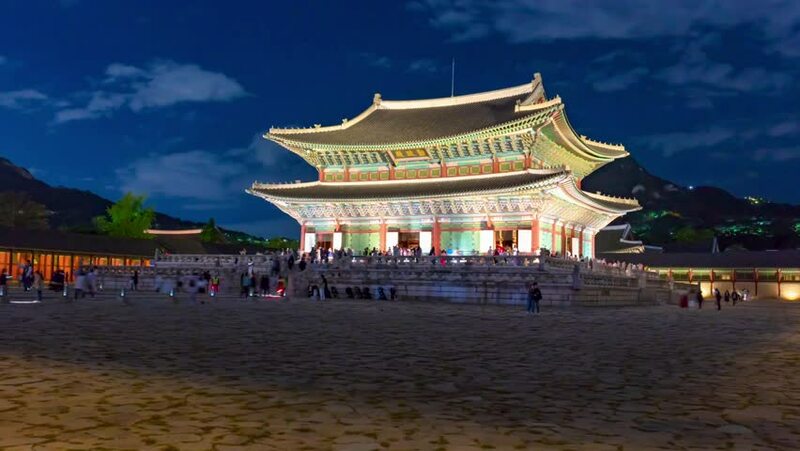 4k00:14Day to night timelapse video of Deoksugung Palace Seoul city, South Korea time lapse 4K. 4k00:30Seoul, Korea - December 28, 2015: Geunjeongjeon, the main throne hall of Gyeongbokgung. Gyeongbokgung palace was the main palace of the Joseon dynasty, located in northern Seoul. hd00:07SEOUL, SOUTH KOREA - CIRCA 2012: Gwanghwamun is the main and largest gate of Gyeongbokgung Palace, located in Seoul, South Korea.